The Macedonia parliament agrees to change country’s name to the Republic of North Macedonia, ending a 27-year Greek dispute. Greece has three administrative regions that share the Macedonia name as shown in the map below. 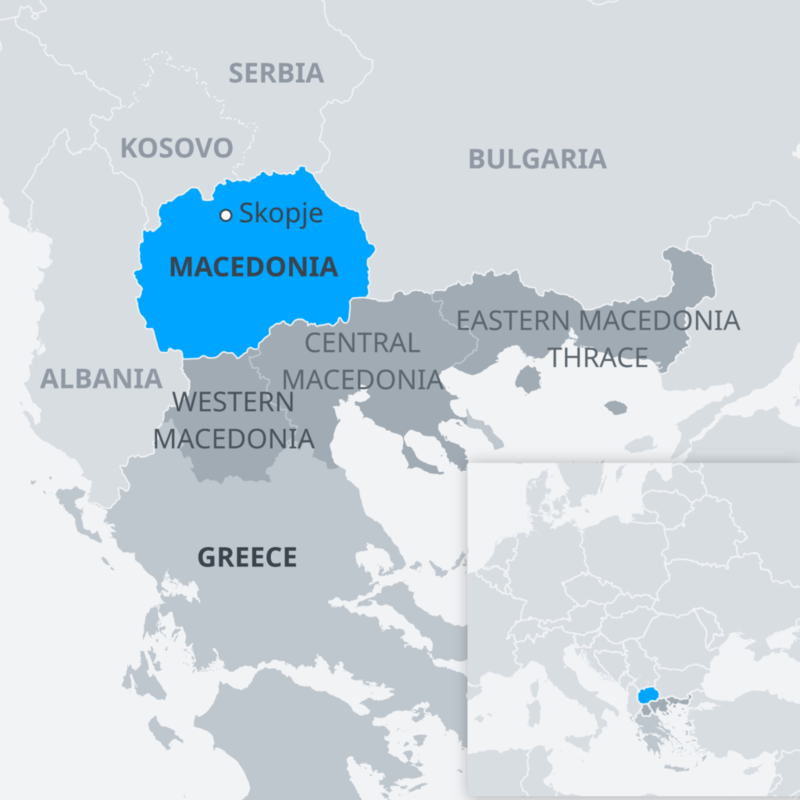 Many Greeks feel Macedonia’s name is illegitimate in view of their own regions. The region of Macedonia extends into Greece, the Former Yugoslav Republic of Macedonia, Albania, Bulgaria and Serbia as well as small areas of Kosovo. A new version of Know Your Europe will provide updated content to reflect this recent change.